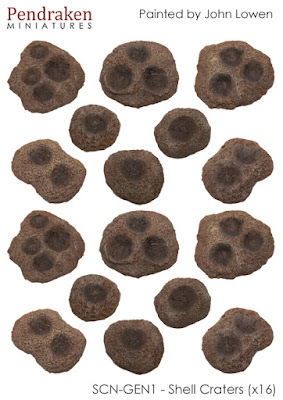 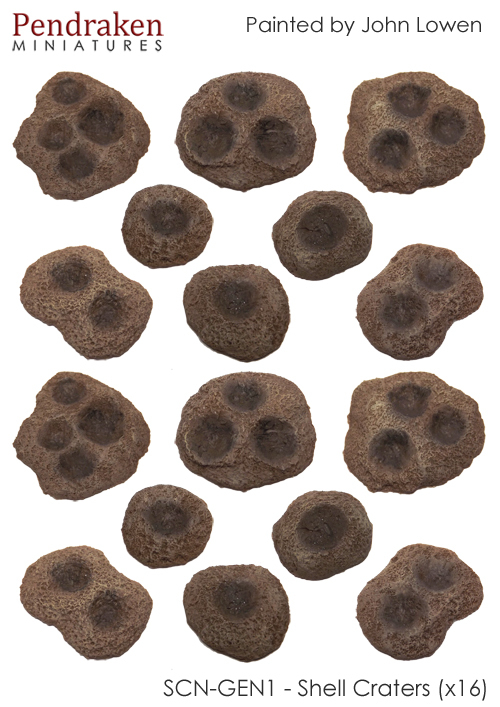 A nice handy little addition for you now, with a useful pack of 16 assorted shell craters added to the website and available to buy! 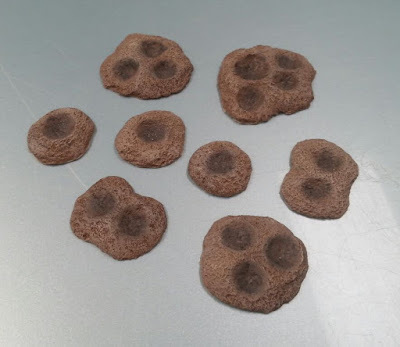 These can be used in all manner of ways, so whether it's as scenery on your WWI tables or markers in your WWII gamers, these will certainly find a use somewhere. The craters vary in size from 15mm for the small ones upto 35mm for the larger types.